I know that when teachers learn about Project Based Learning, many times they walk away with the rationale, the research, and the overview of what a unit might look like. But sometimes teachers still have questions about the day-to-day implementation. Totally understandable: PBL, after all, is complex. It’s not something you really “get” until you jump, feet first, into the PBL pool. Nevertheless, I want to make unit development more transparent so that the strategies ripple out to more schools and students. So I thought I’d create a short series of videos that shared different stages of my most popular PBL unit, The Superhero Unit. Many times, PBL units leverage role-playing to lure students into more rigorous learning. In this unit, students go from developing their own science-based origin stories to forming leagues that will eventually pitch solutions to global issues in front of a mock-United Nations. I’m thinking that if more teachers can see what I’m doing and when, then they might be more likely to go off and feel more confident in creating their own units. This first video shares a little about the Entry Level Event, that launching pad for the unit. 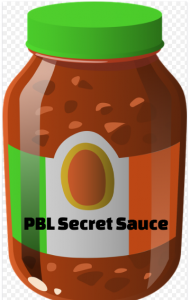 Some might launch with a website, a discussion, a short movie, or perhaps a guest (bringing an expert into the classroom is one of the many elements typical in a PBL unit). Some launch with a primary resource. In the past, I’ve launched my unit using a short iMovie that shared some questions to think about as we moved ahead into developing our own superheroes. This year, however, I did a little pre-launch, one that pulled in meaningful learning in a different way. Much about PBL is about real-world scenarios and meaningful learning. That means paying attention to the world around you for inspiration, resources, and skills students should learn. In this case, two days before my planned launch, Hurricane Harvey hit Texas. With it, came destruction, true. But with it also came the heroes. The everyday heroes came out in droves, those people I’m trying to convince my students that they can also one day become. The video below describes a bit about how Hurricane Harvey helped to elevate my planned Entry Level Event, and how both my iMovie and the heroes of the hurricane came to launch my PBL unit. Interested in learning more about The Superhero Unit? An outline of this unit is available in my book, DIY for PBL in ELA and History (Routledge). 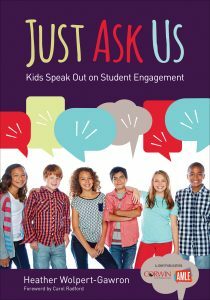 I also go into some more detail about PBL and the need for meaningful learning in my newest book, Just Ask Us: Kids Speak Out on Student Engagement (Corwin and AMLE). Cialis pills - Tadalafil 10 mg http://cialisvipsale.com/ Nicely put. Thanks a lot. Viagra for daily use - Viagra 5 mg funziona http://viagravipsale.com/ With thanks, I value it! Cialis from canada - Tadalafil http://cialisyoues.com/ Tips certainly regarded.! Viagra vs cialis vs levitra - Viagra 20 mg best price http://rldta.com/ Lovely write ups, Thank you! Cialis prices - Buy cialis online http://kawanboni.com/ Thank you, Wonderful information! Cialis daily - Tadalafil 20mg http://cialisvonline.com/ Kudos. Quite a lot of advice. Viagra vs cialis vs levitra - Viagra great britain http://viagravonline.com/ Regards! Lots of data. Cialis 20 mg best price - cheap cialis http://cialisvus.com/ Wow plenty of fantastic facts! cialis 20mg - best canadian mail order pharmacies http://cialisonli.com/ You reported this perfectly. buy cialis pills - canadian pharmacy uk delivery http://libinintorr.strikingly.com/ Whoa lots of wonderful knowledge. buy cialis without a doctor's - canadian prescription drugstore http://backtursothe.strikingly.com/ Appreciate it, Quite a lot of knowledge. canadian pharmacy online 24 - canadian pharmacy cialis http://slk-sm.ru/component/k2/itemlist/user/170004 With thanks! Great stuff! Viagra 20mg prix en pharmacie - Tadalafil http://remersplan.strikingly.com/ Many thanks! Great information. Buy viagra online - Viagra dosage http://buygunspar.strikingly.com/ Terrific posts. With thanks.